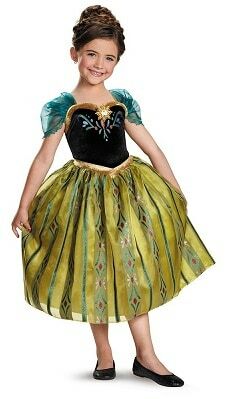 The Disguise Disney's Frozen Anna Coronation Gown Deluxe Girls Costume (Size X-Small or Small) is on sale for $18.99 at Amazon right now. That's 54% off the list price of $40.99! Also available in size Medium for $21.99. This Frozen costume has an average rating of 4.6 out of 5 possible stars based on 72 customer reviews.